Over one million work-related deaths occur annually according to ILO estimates and hundreds of millions of workers suffer from workplace accidents and occupational exposure to hazardous substances worldwide. Hence it is becoming increasingly important for organizations to establish, implement, maintain and improve an Occupational Health and Safety Management System. One of the ways to do this is by getting certified by OHSAS 18001:2007 standard. 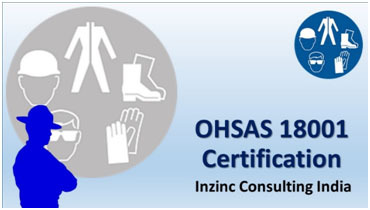 OHSAS stands for Occupational Health and Safety Assessment Series. Improve its OH & S Performance. OHSAS 18001: Occupational Health and Safety Managements Systems Specification. This is the auditable OHSAS standard.